We all indulged in Usain Bolt’s fantastic feats in the 2012 Olympic Games in London, particularly when the 4 x 100 meter relay team became the first to smash 37 seconds - breaking the world record clocking 36.84 seconds. Unbelievable! But for me this was surpassed by their previous achievement when they first broke the world record at the World Championship in South Korea, 2011, the year before London. With Bolt running the final 100 meters at an amazing 8.08 seconds, they set the record at 37.04 seconds. The reason this was extra special is that they were not the team with the fastest men over 100 meters, even though Bolt was in the team, but their technique was sublimely executed. Their rivals couldn’t cope. They all, quite literally, crashed out trying to match the Jamaican’s perfect performance. At the final handover when Jamaica unleashed Bolt, the American runner tripped, over-reaching his handover and taking out the British athlete in the next lane and subsequently colliding with the Trinidad and Tobago team, the favorites to win the race. These were the three main rivals and they all failed to finish. The Jamaican team were crown champions with a new world record. How does this relate to digital transformation? So, what has this got to do with digital transformation and private brands? In the traditional sense, digital transformation is the process of adapting existing business practices to new digital methods to increase efficiency and keep up with rapidly-changing market demands. I feel there are many analogies to draw upon to bring this topic to life in the context of retail private brands. Success of private brands is totally reliant on the efficiency, pace, dexterity of the relationship between a retail team and the suppliers. At S4RB we extol the benefits of private brand retailers working together with suppliers as ‘One Team’ – we actually wrote a book about it (The One Team Difference for Private Brands). Just as in the relay analogy where Bolt and his team won through teamwork, when retail teams and suppliers collaborate, it allows them to compete with the resource of national brands. The more these teams are in sync and working in harmony, the more effective they are. The greater the visibility of what is coming down the line during product development, enables the other party not to simply receive the information in a passive way and then act, but to embed this into their process so that they hit the ground running. This can transform the speed to market performance. 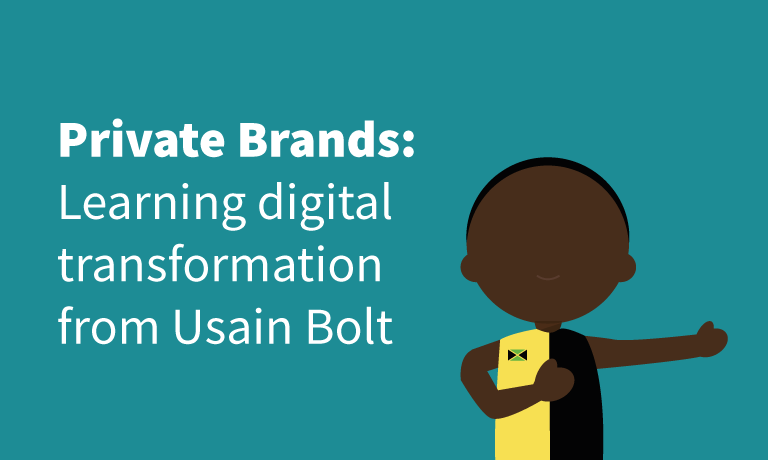 In the same way as a successful 4 x 100 meter relay team are reliant on great technique in the handover of the baton, so private brands are reliant on a great digital environment to manage the supplier/retailer engagement. In the most efficient and successful private brands, the greater the engagement and the more seamless the relationship between the retailer and the supplier the greater the performance of the brand in the eyes of a customer. Probably the final analogy is winning the race. The Jamaican team showed in South Korea and in London that a perfectly executed handover could not just win the race over their faster competitors, but win it in world record time. 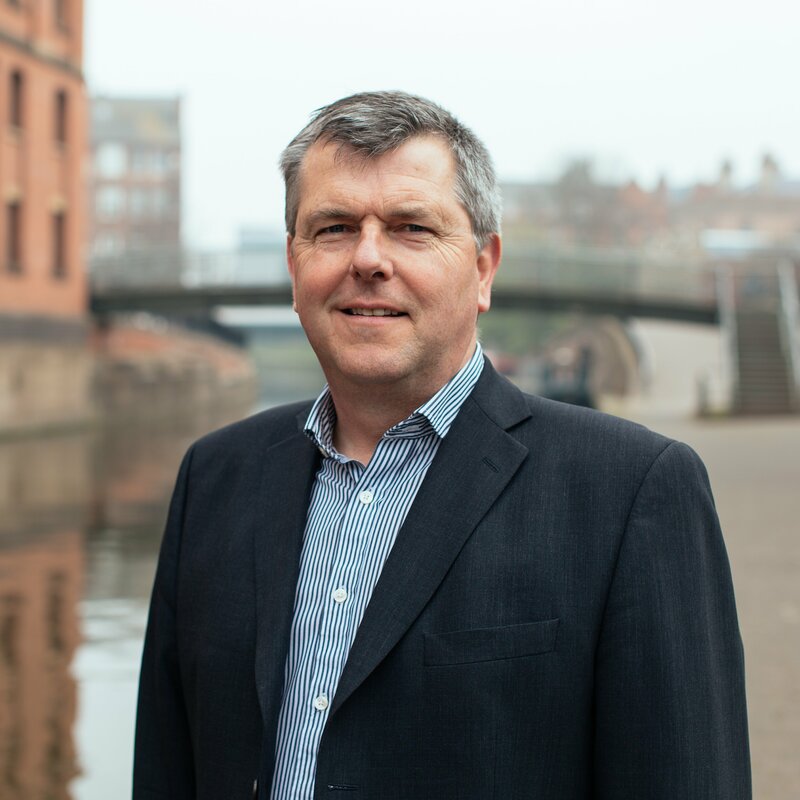 By making supplier engagement an intrinsic element of a retailer’s private brand digital platform it will deliver not just a good result but a true transformation and wins all round. As co-founder of S4RB I have seen many examples of how supplier engagement is critical to the success of a private brand. Many reports I read on digital transformation put all the focus on the relationship with a customer or consumer on the basis that actionable intelligence is the new currency. Whilst I don’t disagree with this statement in isolation, when it comes to private brands, the relationship with suppliers plays an equally vital role and yet can be often overlooked. The higher the level of supplier engagement and the greater the sharing of actionable insights can be crucial factors in the overall success of a private brand. In the same way Usain Bolt could not have run the last 100 meters in 8.08 seconds to achieve the world record in South Korea without the other three men on the team running sublimely and executing their handovers to perfection, so private brands success needs suppliers to execute their role to perfection in perfect harmony with the retailer teams.